If you’re planning an evening wedding reception or other late-day special occasion, consider renting silver candelabras. Candelabras rented in Baltimore will add a touch of upscale elegance to every event and set the perfect mood for an intimate or large gathering. Silver candelabras make ideal centerpieces. If you intend on renting long tables, choose two or three candelabras for each table. 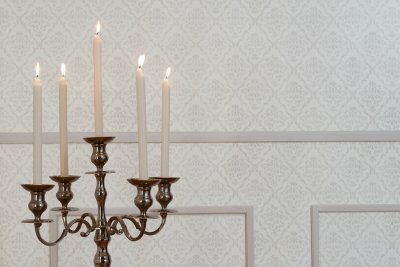 You may be surprised at the many different style choices available when you decorate with candelabras. It’s customary to use candelabras to hold long, tapered candles, but you could also choose LED tea lights if you’re concerned about the candles burning out before your event is over. Another advantage of using flameless tea lights is that they allow you to place elegant greenery or floral arrangements in the candelabra without fear of spreading the flames. Flameless tea lights are particularly ideal if your evening event will welcome guests of all ages. It’s always best to plan holiday parties well in advance, especially if you would like to arrange a large gathering of guests or if you prefer formal affairs. There are many questions you must answer during the planning process and many details to consider—from the color of table linens you’ll use to the number of chair rentals you’ll need. Fortunately, choosing rental equipment for a party in Washington, D.C. makes your planning process much more efficient. Who will I be inviting? Developing your guest list should be among your first steps to take. You’ll need to finalize the guest list before you can identify the right venue or make decisions about rental equipment. Consider whether you’ll allow your invited guests to bring a “plus one.” Mail out invitation cards well in advance and make it easy for your guests to RSVP by suggesting that they email their response. Be sure to set an RSVP deadline to allow you enough time to hammer out the details of your event. Am I planning a sit-down dinner? Once you’ve decided on your guest list, you’ll need to consider the nature of your holiday party. Are you planning a formal sit-down dinner or a casual get-together? Whichever option you choose, you’ll likely want to arrange for the party to be catered. Meet with several caterers in your area to discuss your event. They can suggest menu options for you to consider. Once you have worked out the details of the catering, you can contact a party rental supply company to reserve all of the necessities. At the very least, you’ll need flatware, glassware, and serving platters. You may also wish to rent elegant dessert stands, particularly if you’re planning a holiday buffet. Champagne and wine buckets are practically a must, along with crystal punch bowls. Coordinate with your caterer to find out which dining items you’ll be renting. What entertainment options should I arrange? Entertainment is the highlight of every successful holiday party. By renting a dance floor, you can invite your guests to let loose and celebrate. If you plan to arrange live entertainment, you may also need to rent a platform for the musicians. So you’ve found the perfect space for your upcoming event and you’ve finalized the guest list. What’s next? Before moving on to selecting the table linens and serving platters, consider whether you need to request a stage rental for your party in Annapolis. A rental equipment company can help you figure out the details for your stage rental to make your event a success. You have hired a band to play at your event. One of the most common reasons why event planners rent stages for their special occasions is that they have hired live entertainment. Whether you’re making arrangements with classical musicians or a punk rock band, you’ll need to provide them with a temporary home for their performance. 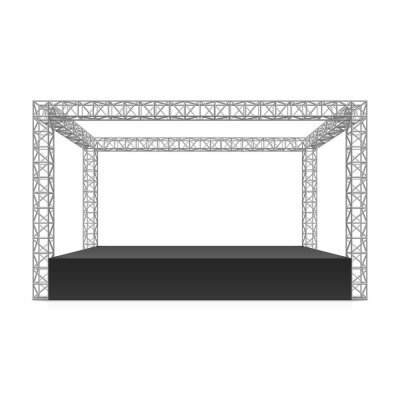 Stage rentals allow for the proper separation between your guests and the performers. A rented stage also lends an air of formality to your event and allows a clear line of sight to the performers from all corners of the venue. Plus, placing speakers on elevated platforms improves the quality of the sound, especially for guests located on the other end of the room. In addition to providing a temporary stage rental for musicians, renting a stage is a smart move to make if you have hired a magician, stand-up comedian, improv troupe, or any other entertainers. You would like to encourage exceptional photography. Photography might not be the first thing to come to mind when you think of stage rentals, but you might be surprised at the extent to which introducing different elevations to a space can enhance photography. A stage rental effectively breaks up the space and adds new dimensions that create visual interest. You plan to hand out awards. Corporate events, fundraisers, charity events, and similar affairs often feature an itinerary that includes accolades and recognitions. If you plan to hand out awards at your event, renting a stage is an excellent way to put the spotlight on the recipients. Be sure to arrange the tables in such a way that allows a clear walking path to and from the stage.